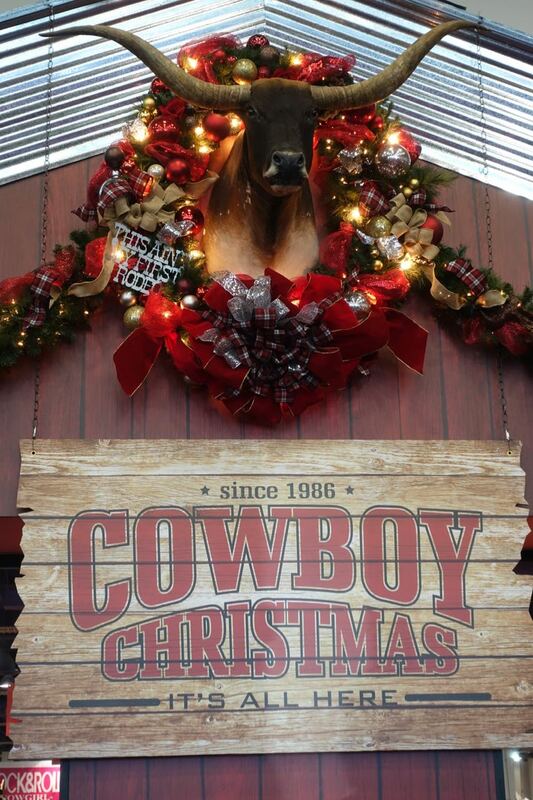 Christmas combined with folks in town for the National Finals Rodeo are the hallmarks of Cowboy Christmas. When the National Finals Rodeo comes to Las Vegas, the whole town sees cowboys and cowgirls and chooses among free and not-so-free events targeted at the rodeo audience. Aside from special parties and entertainers in town, the pre-holiday timing of the rodeo has prompted a number of Western gift shows. The largest and longest running of these shows is Cowboy Christmas, with some 400 vendors on two floors of the Las Vegas Convention Center. Following is my video of the show this year, complete with cowboy celebrities, a marionette Indian dancer and lots of shopping possibilities. Incidentally, a sign outside the entrance to Cowboy Christmas tells visitors that they are apt to be photographed, and if they do not want to be in pictures of shoppers, etc., they might as well turn around and go home. Cowboy Christmas 2017 ran from December 7 to December 16, 2017 and will return in 2018.